on to the gallery, we can encounter a road fraught with obstacles. creating while pondering on the positive advantages of finding true direction and focus. As creative individuals we will gather inspiration from many sources, while taking the sole responsibility for formulating or constructing something worthy. 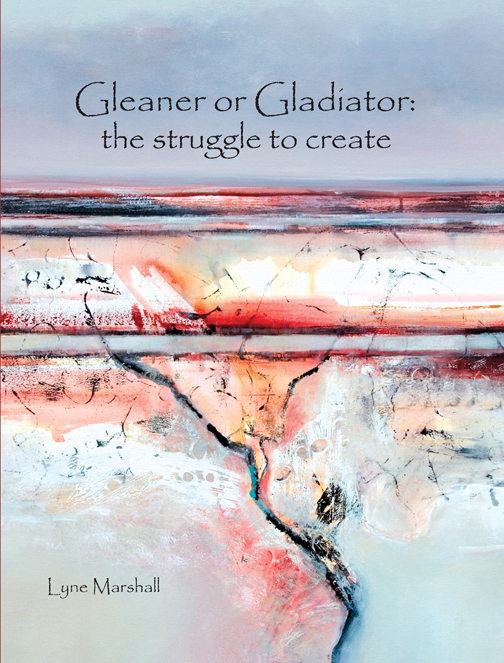 While not overtly a ‘how to book’, Gleaner may shorten the ‘struggle’ by offering insights into an artist’s mind and practice. It has value, not only on a personal level, but as an educational tool, especially for those searching for direction. ISBN 978-0-9803279-0-39 – First publication 2007, 80 pages, full colour, 275 x 210 cm. Available as a Published Book or as an Ebook which can be purchased to read on kindle, or downloaded to your computer / IPAD and read via the Free Kindle Reader.